St. Alban's Episcopal Church: St. Alban's Shows Up for St. Thomas' B.B.Q. St. Thomas’ “Back to the Bayou" B.B.Q. 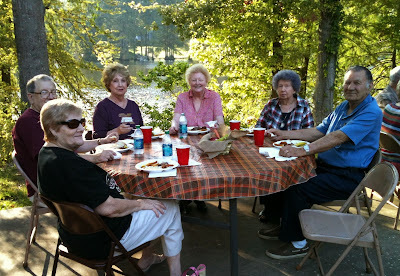 on September 28 – Just part of the St. Alban’s crowd that showed up for the B.B.Q. 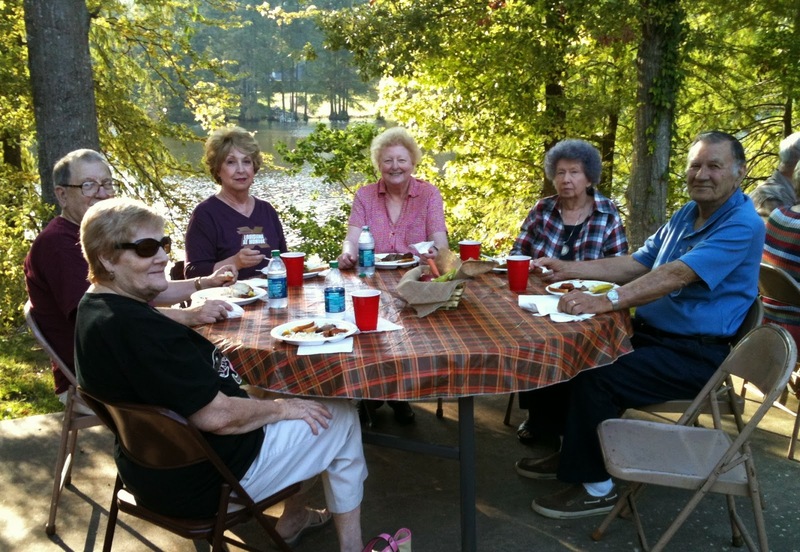 From left to right – Charles, Georgia, Katherine, Pat, Louise, and Jim on a beautiful fall afternoon. Episcopalians love to eat!